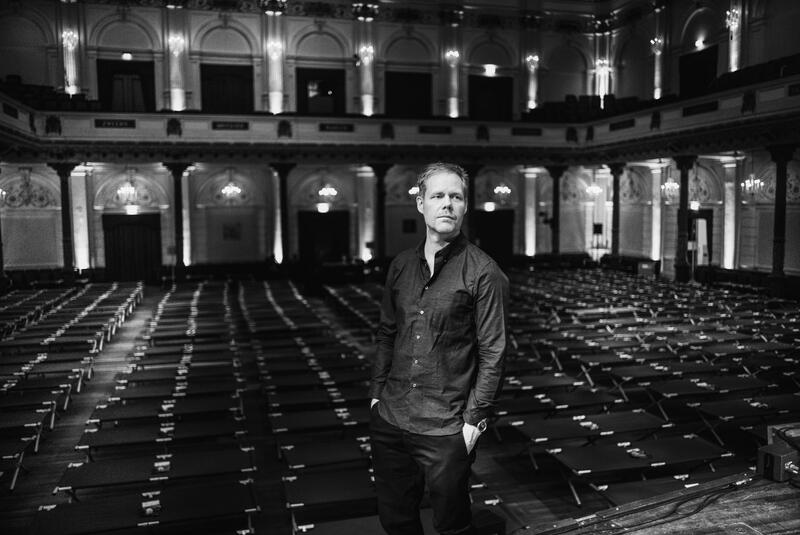 Celebrated British composer Max Richter performs two of his works this weekend as part of the Auckland Festival. 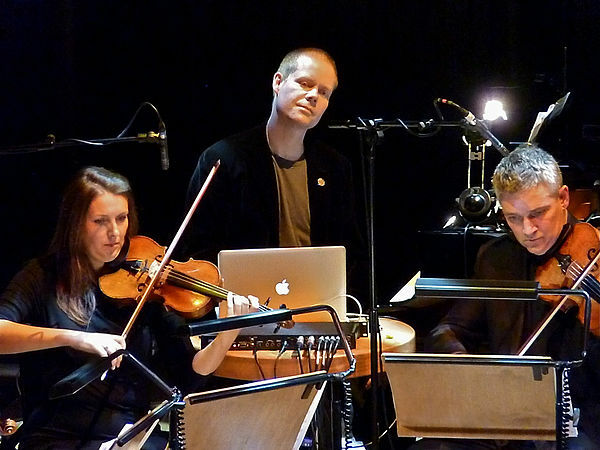 GARY STEEL had a wee chat with the man behind the epic Sleep and Vivaldi Recomposed. Gary Steel – What I find so interesting about you is that on the one hand is that you are left leaning and experimental and on the other hand you’re accessible. It seems to be a theme of your work is that somehow you’ve magically been able to combine both. Which is very unusual. Has that been a conscious, intentional strategy? 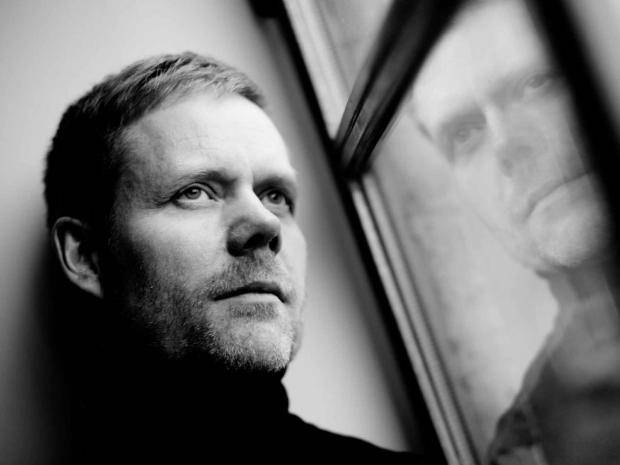 Max Richter – Well, in a way yes. If you go back to when I was at university at the conservatoire there was a kind of an orthodox way to write serious music and that was to basically paraphrase the experimental music of the ‘60s and write your own version of that, so it was almost as though a model for serious, thoughtful, experimental music had been invented in the ‘60s, which it was, but then it was sort of frozen and serious music all had to sound like Boulez in 1962 (laughs) and I just don’t really buy that idea. To me music is something which is alive and the sound that an artist makes is to do with their musical biography, the things they’ve listened to, the ideas they’ve had, their life story and the impact of society and the cultures around them, so it’s a dynamic and lively thing, and it seems to me that nowadays there are so many opportunities for creative expression using obviously the orchestra – traditional orchestration – but also electronics and other media, that it does seem a bit odd that our idea of what creative and thoughtful music is has become sort of frozen in this sort of time warp. I just don’t really accept that premise. 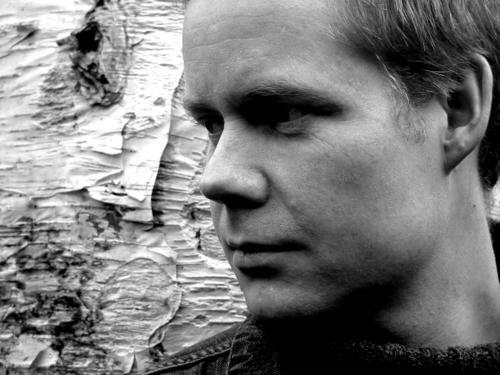 I set out to try and develop a language which is a bit more plain speaking, because from my standpoint music is a conversation, it’s talking, it’s storytelling and if I want to have a conversation with someone then I want to try to be as clear as I can in terms of what I’m saying, so for me there isn’t really this sort of… accessibility isn’t forbidden. Accessibility and intelligence as mutually exclusive… I don’t accept that. Steel – In the late ‘80s and early ‘90s Michael Nyman was working a lot with minimalistic tendencies in his music and particularly on the Drowning By Numbers soundtrack that he did he referenced Purcell and in a way he was looping that music although it wasn’t electronically done. And he grew from someone who wrote the book on experimental music to someone making car commercials. Is there any influence there? Were you aware of him? Richter – Sure, you know, all music grows out of music of the past in some ways, a sort of collision between your music history and your listening. And the present moment, and certainly my music culture is a sort of hybrid between a classical hinterland which obviously includes 20th century music and the minimalists and all of those different schools including Michael Nyman and the American minimalists, but also electronic music and post-rock and all those things, punk, these things all flow together, but certainly that generation of artists, Nyman, Glass, Riley, Reich, and all those people sort of hovered around while I was a student so I was absorbing that language. Steel – I notice you chose Mogwai and people like Chris Clark to participate in the remix album? Steel – Clark particularly impresses me as someone with amazing sound design. Richter – Yes, he’s a tremendous talent, isn’t he? I mean I think that’s something that has come to the fore over the last few decades which is that the studio is the instrument really, I guess there are lots of traditions feeding into that obviously from dub music but then also the whole electronica universe and dance music. This idea of the instrument being this collection of objects in the studio, that’s brilliant. Steel – I notice that Dead Cities (the iconic Future Sound Of London album which Max worked on) is coming out remastered in a nice box set after all these years. I’m interested to know what you think about I suppose the textural and sonorous qualities in electronics in comparison to orchestras. A lot of people are still against the idea of electronic music, full-stop. Richter – Well they’re different things, aren’t they? They have particular inherent qualities. The orchestra is an incredibly sophisticated construct, isn’t it? There’s probably a MILLION hours of R&D for the five or six centuries that it’s existed, billions maybe, and performance traditions and instrumental technique and all of these things have evolved and an orchestra is 50 or 70 or 100 people listening to one another and bringing their entire musical understanding into that space in real time. I mean, that’s extraordinary. So it is an amazing kind of unique organism. But an orchestra can’t make the sounds that a synthesiser can make or a computer can make and visa versa. They are different creatures. I don’t think of them as somehow exclusive, and for me these things have always flowed together. When I was a teenager I was practicing my Beethoven sonatas and things on the piano but I was also building synthesisers with a soldering iron in my bedroom. So it was easy for me – I guess like all composers – to reach for new colours. That’s what drove the development of the orchestra in the 19th century, people looking for new instrumental colours. Steel – And so you feel that electronic music has specific new colours to add to the overall colours of an orchestra. Richter – Yeah, it does, there are just things a synthesiser can do that an orchestra can’t do. Steel – I read in one of your interviews you said that you’re inspired by actual things to write music – in other words your music is about something. Whereas the typical idea about music is that it isn’t about anything at all, that it’s of itself. Richter – I think it’s possible to hold both viewpoints simultaneously, to be honest. Stravinsky famously said that by its nature music is powerless to express anything, but I think he was sort of kidding. [laughs] Because Stravinsky’s music is extraordinarily affecting. And you can’t have somebody who can write the Rite Of Spring or the Symphony Of Psalms truly holding that view, and meaning it in a literal sense. I think that it’s really a problem of language, that statement, because it really goes to the heart of what we mean by meaning. Because if music didn’t affect us in an emotional, intellectual, physical way then we wouldn’t listen to it, so I think it’s to do with what we understand by meaning, and for me the test of an interesting or good piece of music is the extent to which it changes me and transports me and I think good, interesting music does that, because it tells us something, or switches a light on when there wasn’t a light. It’s a very difficult thing to sort of pin down what happens there. Steel – I imagine that it’s not absolutely necessary to know the backstory of one of your pieces of music. 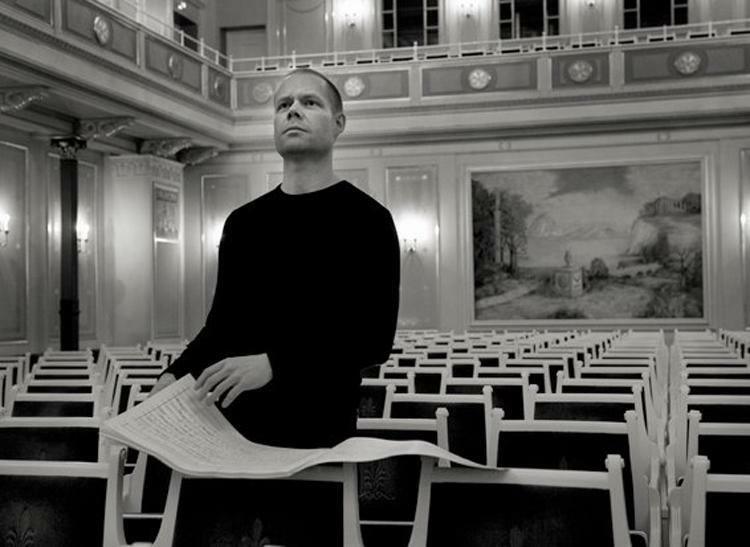 Richter – Music is a feeling art, isn’t it? It sort of evokes or suggests states of mind I guess. Steel – I wonder if a lot of New Zealanders might go along to the Sleep concert not really getting it. I was wondering if you could explain to me a little more about how you’d expect people to behave and how they should approach the event. Richter – Sleep really is an experiment, it’s more of a question. There are no rules, put it that way. What I wanted to do with the piece is to try and look at a possible different relationship between music and consciousness. To see if music and the sleeping mind could connect in a fruitful way. But the piece was intended to be slept through. It was an investigation of that landscape we inhabit while we’re sleeping and to see if music could be a part of that. But when it comes to the live performances, there are no rules. Some people arrive, they fall asleep and we see them in the morning. Other people stay up all night listening. Most people do a bit of both. And obviously we’re there playing all night long. It’s really a sort of enquiry, and I think everyone answers that question in their own way, and I think that’s as it should be. Richter – No, I think that people should embrace the moment and see what happens. Steel – And you’re on stage the whole time? Richter – Pretty much. I get a couple of little breaks. I structured the piece so that all the musicians get a little bit of time off. Steel – It must be exhausting. I hope you get some sleep the day before. Richter – I get sort of jetlagged before so that I’m sort of on sleep time. It’s kind of like running a marathon because when I sit down at the piano at the start of the evening there’s 200 pages of piano music to get through. It’s just a LOT of notes, like climbing Mt Everest. Steel – And you’re going to be doing a talk when you’re here as well. Is that about anything in particular, or are you going to be expecting a lot of questions from the audience? Richter – Yeah, I think it’s more of a question and answer thing really. I’m open to all suggestions really. Obviously we’re playing Sleep and playing Recomposed and a few other things and yeah… be interesting to see what the people want to know about it. Steel – Do you think that the current era is seeing something of a renaissance of cross-platform music? Richter – Yes, I think we’re in a sort of very… in a way it’s a very atomised age, because all the isms and genre boundaries have sort of dissolved. Partly because that’s the way culture generally is moving, but in the musical space I think it’s mostly driven by the fact that streaming allows people to cherry-pick material and follow their enthusiasms. They don’t have to buy anything, they just click on it so people just follow the sounds that they like, and that takes them across genre very easily. And I think that’s probably reflected by young artist’s practice. And I think the other thing that’s happened is that a lot of people work on computer, so there is a kind of shared space in terms of tools, so people… classical composers are writing on computer, and people making beats are working on computer. There is a kind of levelling of the playing field I guess. Steel – There seems to be a much more receptive audience particularly in the live domain for the kind of large-scale events that you do. Richter – Could be. My sense is that the audience we used to think of as ‘the classical music audience’ which was a maybe older, maybe conservative, a bit privileged, middle class, better-educated audience, that’s diffused out into something else, which is really people who are really interested in creative music from wherever it’s coming from. And I think that’s good news. * Sleep occurs at Shed 10, Queens Wharf, Auckland on Friday March 16. Vivaldi Recomposed/Three Worlds takes place at the ASB Theatre, Auckland on Sunday March 18.